Technically, “The Shape of Water”,”Three Billboards…” and “LadyBird” are all from 2017. I’ve seen fewer movies this year. I concur with “Leave No Trace”, and have no issues with the rest of your list. 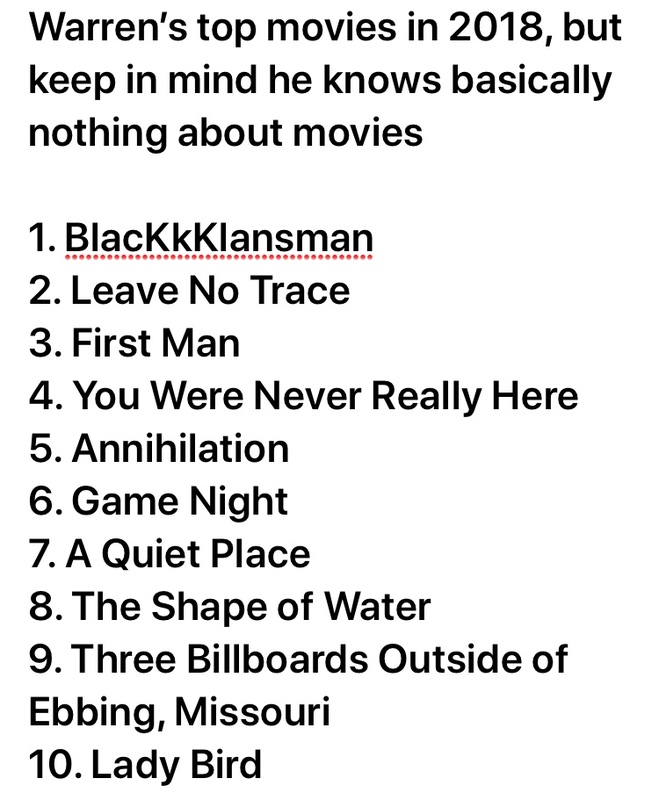 I would add “The Favourite”. I haven’t seen “Widows” or that Beale Street movie yet. The Bird Box was alright. I think it was a Netflix production. Please do yourself a favour and watch ‘The Death oF Stalin’. The blackest oF comedies fuelled with real intelligence.